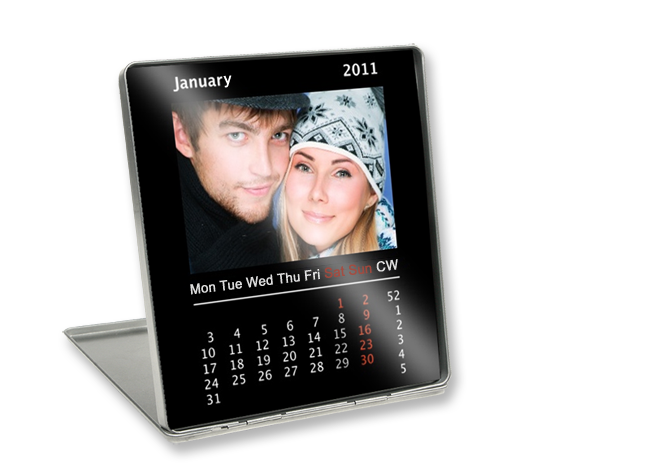 The decorative desktop calendar comes in a silver coloured metal case (about the size of a CD case) holding the photo calendar pages. Each month is printed on high quality photographic paper ensuring outstanding picture quality and vibrant colours. 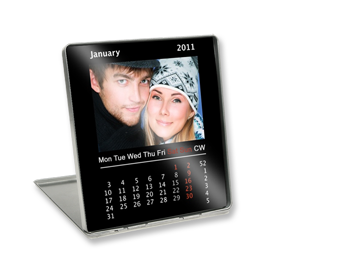 In the office, at home or as a gift, this decorative calendar will make a stunning impression anywhere. 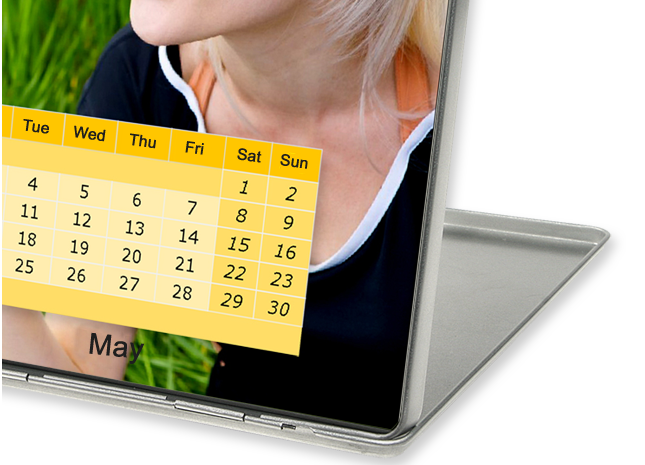 Your personal picture highlights are displayed on 12 individual pages plus a cover page, and the stylish monthly calendar layout enhances the impact of your images. 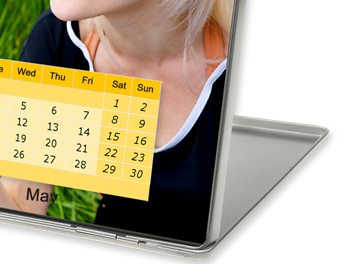 The calendar comes in a polished metal box, which also serves as a stand.